SMA has the ability to run the software in automation mode. You can analyze your mixtures using the Batch SMA add-on but also in real time processing mode using the Listener SMA add-in. IMPORTANT: Listener SMA is an add-on to Mnova SMA ( It must be purchased independently). 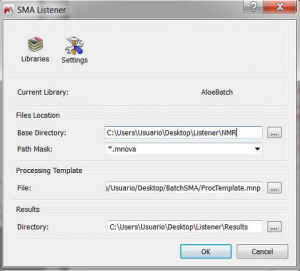 How to open your Listener SMA plugin? When is this real time analysis useful? 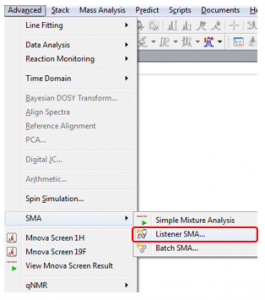 You can run the Listener SMA when there is no need to interact with the raw data to get your results. In different words, real time processing! This can be advantageous, particularly in QC and production environments once you validate your method and customize your report. 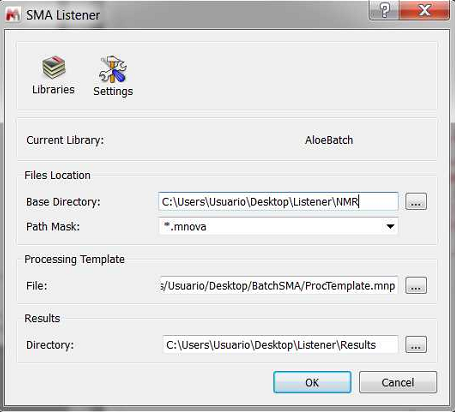 In the Listener SMA mode window, select the desired folder path and path mask to load your datasets into Mnova. Also select a folder to save your results as per Batch SMA. As an example, SMA can be used in a QC environment where the same compounds and analytical conditions are repeated. 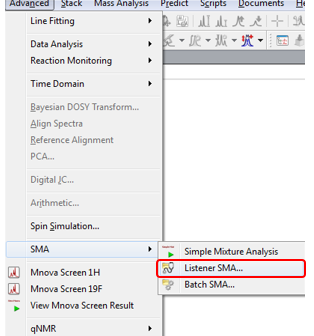 Once the SMA method has been validated, production operators should be able to get the results using either of the different Batch or Listener SMA modes.